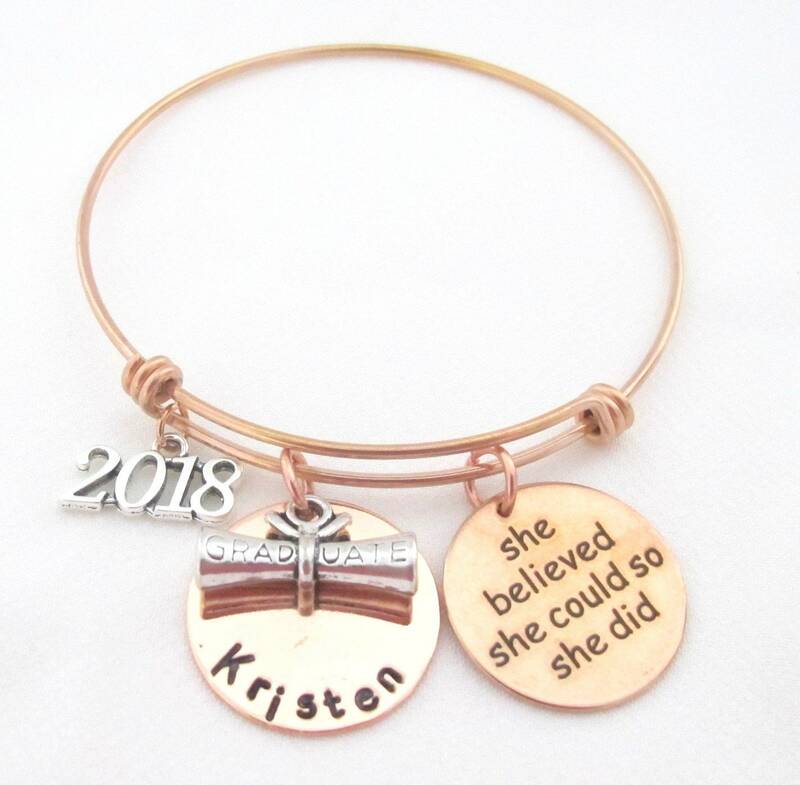 Personalized Graduation Bracelet, She believed she could so she did bracelet, Graduation Gift for her, College Graduation, High School Graduation Gift. -Rose Gold Round Disc - "She Believed She Could"
PLEASE MENTION THE NAME OF THE RECIPIENT BEFORE CHECK OUT OF THE ORDER. THANK YOU! Item is incredibly beautiful and well made! I love it!! I can't wait to give this to my daughter for graduation.